Love. It is one of the most ethereal feelings in this world. Something that makes you feel happy from inside, make you feel positive and may be a little aesthetic too. And if you want to feel it that way, we truly recommend you to watch tonight’s Yeh Rishta Kya Kehlata Hai. Romantic scenes happen on television every other day. Some are simple, some of them are bold, a few of them are cute and others are just romance personified. But not every day you feel like writing an entire piece with a smile on your face feeling happiness, peace and love in every nerve of your system. 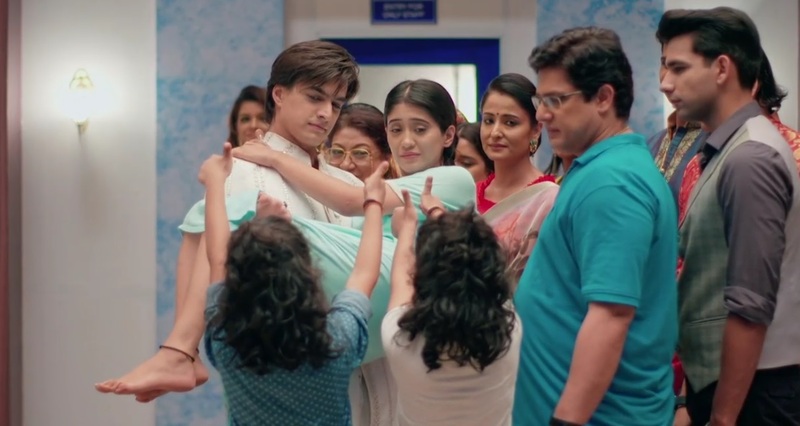 Such a scene happened tonight in Yeh Rishta Kya Kehlata Hai, an episode that marked the beginning of a track and we wonder if this is how it began for Kartik and Naira, what beautiful moments lie ahead of this? The episode was great but that one moment that compelled us to sit during this odd hour to write a piece was out of the world and a beautiful representation of love. We bet each of the viewers who watched or will watch this episode will be left with a satisfying smile on their face. Tonight after seeing Naira’s condition, Kartik broke down. 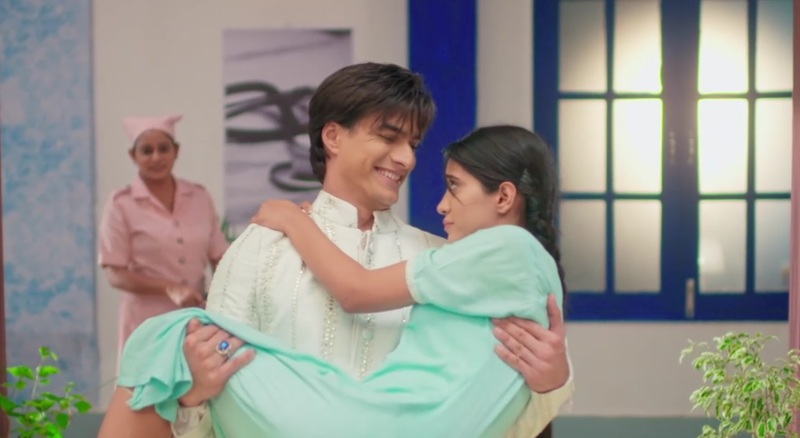 A logical break down that was expected from him but the way Swarna provided him strength and the way he passed on that strength to Naira, was heartwarming. The childlike way in which Naira complained about forgetting the fact that she had custard a while before and the way he just let it go with those tricky Bollywood dialogues, making her giggle would make the viewers smile too. She denied to sit on the wheel chair and he decided to carry her to the test room. The way he did swing her while carrying her as if trying to distract a child from her disturbing surroundings, would melt your heart. And the cherry on the cake would be him carrying her to each family member, who caressed her, gave their blessings added with an energetic thumbs up from little luv-kush. The song selection was also great for the scene that added to the richness of the execution. This is just the beginning for Kartik in the path of love, there’s a long way to go but he started off extremely well. Tonight he handled Naira in whatever way was applicable in whichever situation. At one moment he consoled her, in the other moment he dragged her. At one moment he distracted her, in the other moment he tried to make her face the situation. But he was there, with her, always with a promise of forever. And that’s what made the beginning beautiful and also will make the journey ahead memorable. There’s no way one can forget ‘love’ of this kind. Naira may forget Kartik someday, but no way she can forget his love. His love will live on within her and she will remember it even if she forgets the rest of her universe. Vatsal Sheth Enters Bepannaah As Saviour Of Aditya!